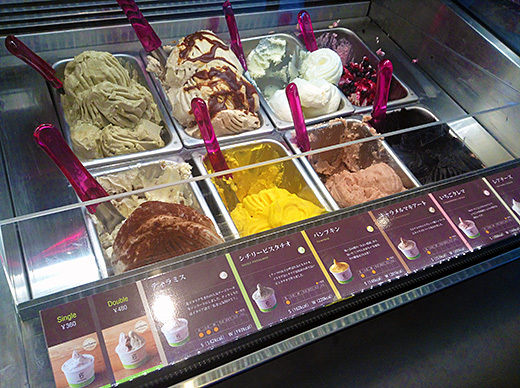 After we had Korean lunch, my friend took me to caffe bene. 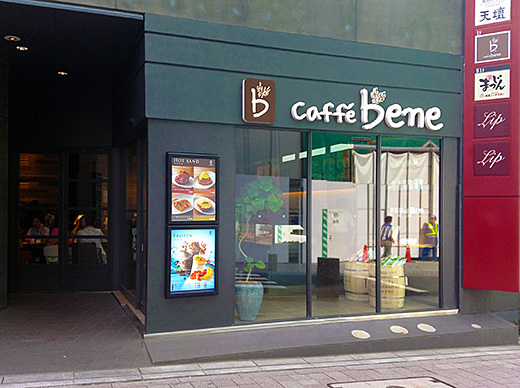 The cafe is cute and looks like ordinary European or US style cafe in Japan. However some of their menus are unique. 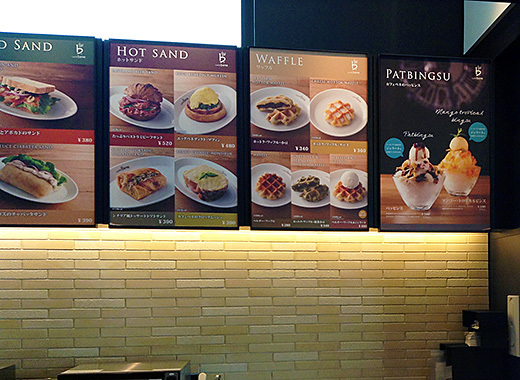 They have “waffle with hottoku (Korean mochi dumplings)” or “patbingsu”. 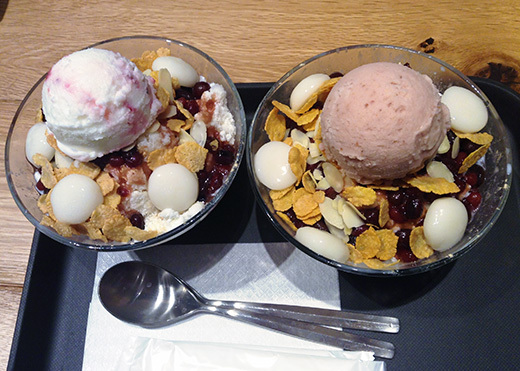 We had patbingsu with strawberry ice cream and yogurt berry ice cream. The shaved ice was different from Japanese ones, it was strong condensed milk flavor. I think it’s more like Taiwanese or Vietnamese style. She said if we’d like to eat like Korean people, it should be stirred all stuff when it served. It’s different from Japanese style, very interesting!